Want four sets of warning altitudes? Then the Quattro is for you. Four sets provides added interactivity in configuring frequently used warning alarms. 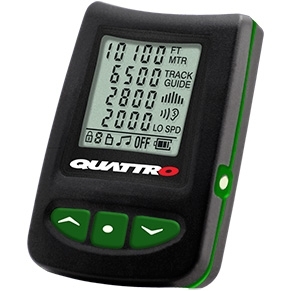 The QUATTRO's small and ergonomic design provides the user with comfort and less bulk when used inside a soft or hard-shell helmet.